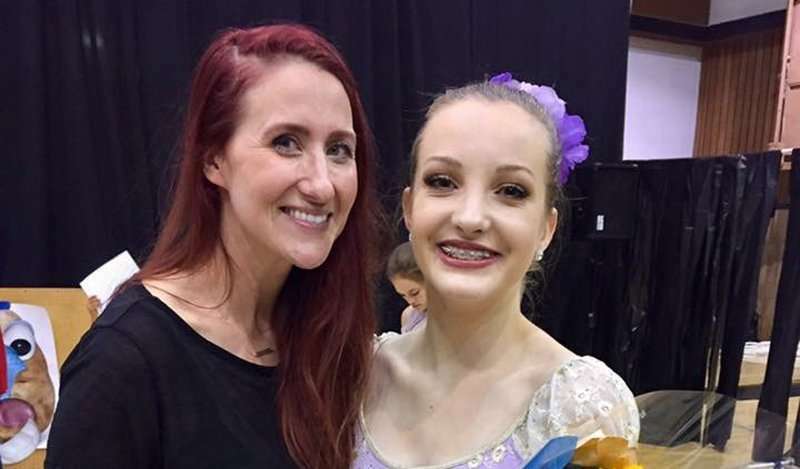 Overcoming stiff competition, local dancer Hailey Gregor, 16, nabbed a highly sought after spot at the New York City Rockettes Summer Intensive program. Gregor, a Susanville City Kickette and JandJ Performing Arts dancer, competed against more than 5,000 dancers across the world for the spot at the New York City Rockettes Summer Intensive program, where dancers train beside Rockettes at the Radio City Music Hall in New York City. “I was so surprised when I found out I had made it. It goes to show that even in a small town, big things can happen and dreams come true,” said Gregor. According to JandJ Performing Arts Director and owner Jessica Wade, Gregor’s audition consisted of jazz, tap and kickline combinations and the director of the Rockettes even made contact with the local dancer during the audition process. “Hailey has been training for the last seven years in ballet, jazz, hip hop, clogging, acro and modern dance at JandJ Performing Arts. She is an award-winning competitive soloist. She dedicates more than 10 hours a week to her art. She is a scholar student as a Lassen High School junior and on the LHS Drill Team,” Wade wrote in an email. In order to prepare for the intensive, Gregor has been fundraising and gaining community sponsors. “She will be representing Lassen County in the Big Apple and cannot wait to bring back what she learns to share with her community,” wrote Wade. The Kickettes can be seen are various events in Susanville, from parades and shows to community events and dance classes for the McKinley after school students.